Icewind Dale, and to a lesser extent BG2, has a frustrating habit of using the same icon for multiple items, making them difficult to tell apart from one another. 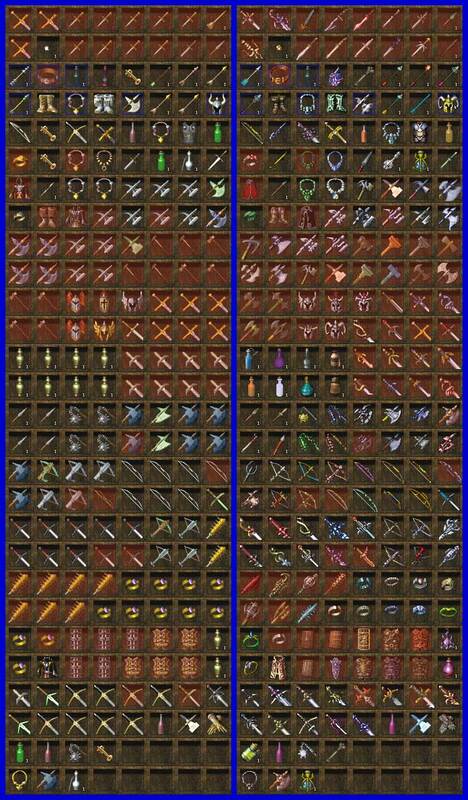 This component gives unique icons to about 200 items in Icewind Dale and about 80 in Baldur's Gate II. For example, the dozen or so items that all used the icon for the Ring of Protection +1 in Icewind Dale now use unique icons. The 'new' icons have been scavenged from other Infinity Engine games.